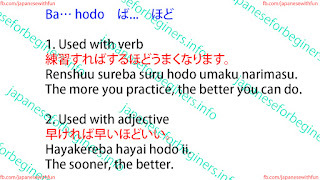 It follows the stem of ba-form of verb or adjective. 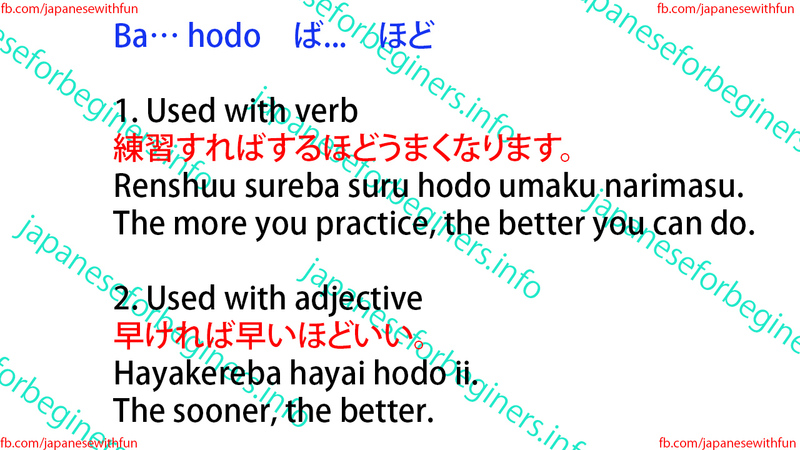 The dictionary form of the same verb or adjective is repeated before hodo. Renshuu sureba suru hodo umaku narimasu. The more you practice, the better you can do.